Observator has developed her own hydrological monitoring system for sewage overflow: sewer overflow monitor. For good water management of the sewer system, it is necessary to register when the overflow takes place onto open water. 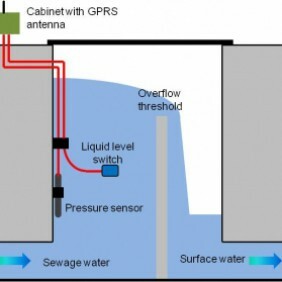 The sewer overflow monitor monitors the level of the sewage water and registers the frequency and volume of the overflow into open water.